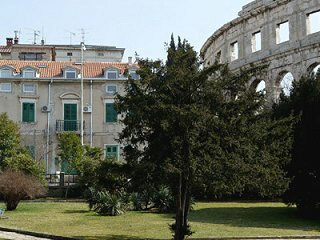 Apartments in Pula top city centre only 10 meters From Roman Amphiteatre - Arena. Distance to the sea 100 meters. Open whole year. Everything is in a walking distance. Total 4 apartments (2 for 4 persons, and 2 for 2-3 persons) - max 14 persons. Air condition and TV SAT. The Apartments are self catering, fully equipped, an accommodation that will make your holiday relaxing and giving you access to all the city within a couple of minutes walk. Self catering apartments for 2-4 persons with air-condition and Satellite TV. Enyoj the city center accomodation and wiev over Pula harbour or Arena. Apartment 1 (50 sq meters) - two level apartment with large living room with complete kitchen, dining table and two couchs. Upstairs bedroom with 2 beds. Sea view. Apartment 2 (55 sq meters) - two level apartment with large living room with complete kitchen, dining table and expandable sofa for 1-2 persons. Upstairs bedroom with 1 double and 1 single bed. Sea view. Apartment 3 (32 sq meters+10 sq meters terrace) - studio apartment with one double and one single bed. 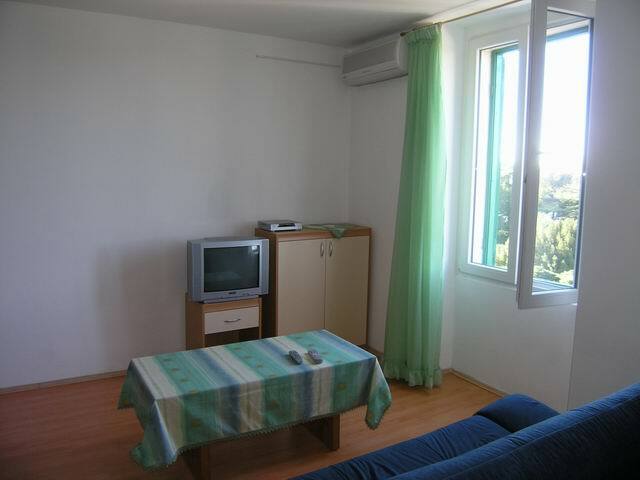 Apartment 4 (32 sq meters) - studio apartment with one double and one single bed. Sea wiev. 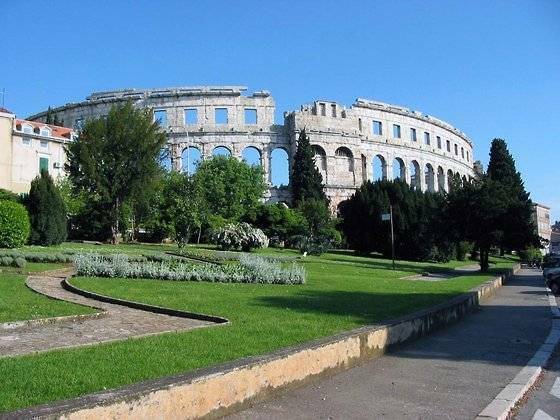 Pula with many restaurants, shops, museums, monuments and a 170 km long coast is ideal for your vacation. 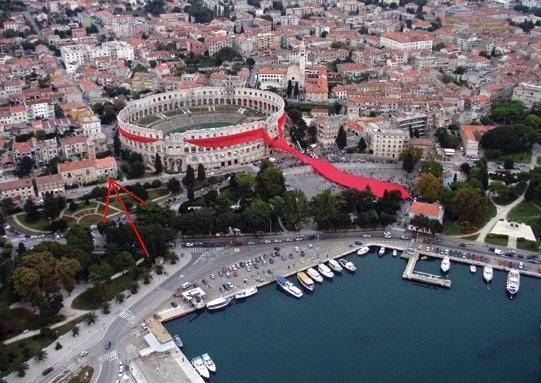 In the center of Pula, only 10 meters from Arena - the first house on the left side of Arena when you look from the sea. Bus station - 300 meters. Nearest airport: Pula - 8000 meters.